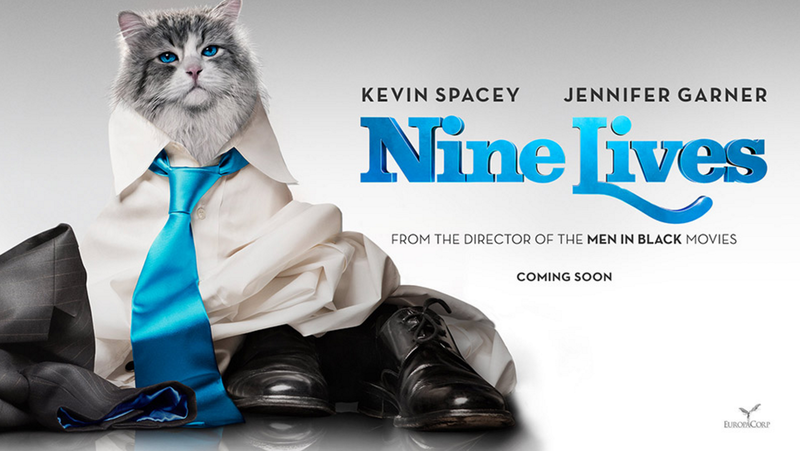 Continuing my spotlight on the worst films of 2016, today I am going to be covering the Kevin Spacey talking cat movie, Nine Lives. The director of Nine Lives was Barry Sonnenfeld, who is best known for movies like The Addams Family, Men In Black, Men In Black II, Men In Black 3, Get Shorty, Wild Wild West, and RV. 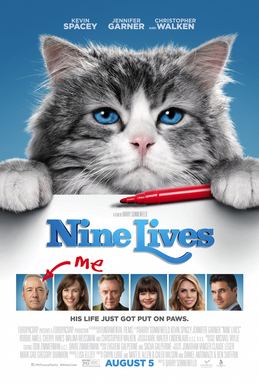 The screenplay for Nine Lives has five credited writers, including Caleb Wilson and Matt Allen, who previously wrote Soul Surfer and Four Christmases. The cast of the movie includes the likes of Kevin Spacey (The Usual Suspects, L.A. Confidential, House of Cards, American Beauty, Swimming With Sharks, Se7en), Christopher Walken (Suicide Kings, The Deer Hunter, King of New York, Dead Zone, Catch Me If You Can, Seven Psychopaths, Pulp Fiction, Kangaroo Jack), Jennifer Garner (Alias, Dallas Buyers Club, Juno, Daredevil, Elektra), and Cheryl Hines (Curb Your Enthusiasm, RV, The Ugly Truth). The cinematographer for the film was Karl Walter Lindenlaub, who also shot the movies Stargate, Independence Day, The Haunting, Universal Soldier, and Dolphin Tale. Don Zimmerman acted as a co-editor for the movie, adding to a long list of credits that includes Marmaduke, Half Baked, Patch Adams, Over The Top, Cobra, Galaxy Quest, The Cat In The Hat, Night At The Museum, and Liar, Liar. The visual effects for Nine Lives were primarily provided by the company Rodeo FX, which is credited for work on movies like The Amazing Spider-Man, Terminator Salvation, Source Code, Jupiter Ascending, Jonah Hex, Abraham Lincoln: Vampire Hunter, Warcraft, Gods of Egypt, and Deadpool, among many others. On top of that, they provided all visual effects work for Game of Thrones seasons 4 and 5. The famously odd-looking cat, Lil Bub, who has a massive social media following that numbers in the millions, has a cameo appearance in Nine Lives as one of the cats under Christopher Walken’s care. Nine Lives was made on an estimated production budget of $30 million, on which it took in a lifetime, worldwide gross of $44 million. While this covered the production budget, it likely didn’t net much of a profit after post-production and marketing costs. Critically, Nine Lives was, understandably, not received well. Currently, it holds an IMDb user rating of 5.2/10, along with Rotten Tomatoes scores of 11% from critics and 43% from audiences. The first and biggest problem with Nine Lives is one that plagues most productions that feature talking animals: bad CGI. While technology has improved since movies like Cats & Dogs and Son of the Mask, the computer-generated cat work that appears prominently in Nine Lives is still solidly within the uncanny valley: it is good enough to be convincing on one level, but still obviously not natural to an off-putting degree. While this might be passable in limited use and in low-light conditions, the effects sequences are almost all in full light, and are often painfully prolonged. One of the things that bothered me the most about the film were the cat-related sound decisions made on the part of the production. During the sequences where Kevin Spacey inhabits the cat, his attempts at communication with humans are shown from other characters’ points of view as being intense, pained, and jarring feline yowls. Not only is this profoundly annoying to listen to, but it doesn’t always make sense: cats have a range of noises that they can make, so why would communication attempts always come across as yowling, as opposed to purring or meowing? It is worth noting that, despite the inane plot, most of the prominent players in the film put in surprisingly decent performances. Spacey doesn’t seem to be totally phoning in his role, despite the fact that most of his role is voice-over. Likewise, Jennifer Garner has some moments of genuine emotion, and Christopher Walken is his usual eccentric self. As far as other positives go, I have to say that I kind of like some of the design choices for the movie, particularly in regards to the color palette. For instance, each of the primary locations has a unique color theme: Walken’s store is dominated by greens and browns, giving it a natural and home-y look, which is a stark foil to the Firebrand offices, which are immaculately white with bright, red trim. 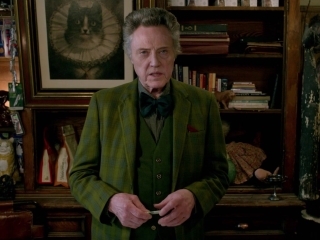 Likewise, Walken’s store is cluttered and busy, and he always has complicated patterns in his darker-toned clothes. 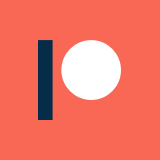 In contrast, Brand and his corporate building are almost always shown in bright solids, with little to no patterns involved: everything is sharply angled, sleek, and clean-cut. This is a minor thing that often gets overlooked in movies, and is usually meant to cause subliminal associations as opposed to overt ones. In Nine Lives, however, the stark contrasts and vivid colors contribute to a cartoon-y, hyper-realistic atmosphere that actually works pretty well. In most movies, these over-the-top colors and contrasts might be a distraction, but in this very specific case, they fit. One aspect of the film that I have seen some reviewers complain about is the plot’s focus on corporate minutiae. Even though it didn’t stand out to me when I was watching the movie, it is definitely a problem that so much of the plot is about corporate back-dealings and Kevin Spacey’s will: not only because it doesn’t make for interesting watching, but because the core demographic for the film, children, generally aren’t going to understand or care about it. Related to this, I have a bit of an issue with the moral compass of the movie. Initially, the curse is put upon Kevin Spacey so that he would learn to appreciate his family. Prior to the transformation, the biggest object between Spacey and is family is his new skyscraper: a surrogate image for his ambition, hubris, and obsessive work behavior. After the transformation, Spacey’s son winds up taking on the task of completing the building, in an effort to both prove himself and solidify his father’s legacy. However, this focus on the building by his son bothered me. Spacey’s son is always shown in the context of his job: he is never revealed to have a family or partner of his own beyond his cold mother and Kevin Spacey, despite clearly being an adult with an accomplished career. As the plot progresses, he is shown distancing himself from his warmer step-family in order to focus on the building project, just like Spacey did. In the final act, he even goes so far as to neglect being present at his father’s potential death bed so that he could commit a corporate power play. It seems to me that this character should have come away from the story having learned not to devote all of his life to work, like his father had. Instead of the idea of legacy being tied into a company or a building, both characters should have come away understanding that loved ones, good will, and relationships are what really build a legacy. Instead, the conclusion vindicates Spacey’s obsession with his building and company being the symbols of his legacy: both are retained/completed, letting him have his cake and eat it too. Despite my issues with the writing and the effects, this movie could certainly have been a whole lot worse. In fact, a number of reviews lamented that it wasn’t, because it would then have had more entertainment value. As it stands, I think that some children might just be entertained by Nine Lives: there are at least enough requisite bodily fluid and excrement jokes to meet certain infantile humor quotas. That said, there is no way that I could recommend this movie to anyone. The positives are outweighed by the negatives, and the negatives aren’t even entertaining negatives that could help you power through.